A great reliable lorry, easy to drive manual. 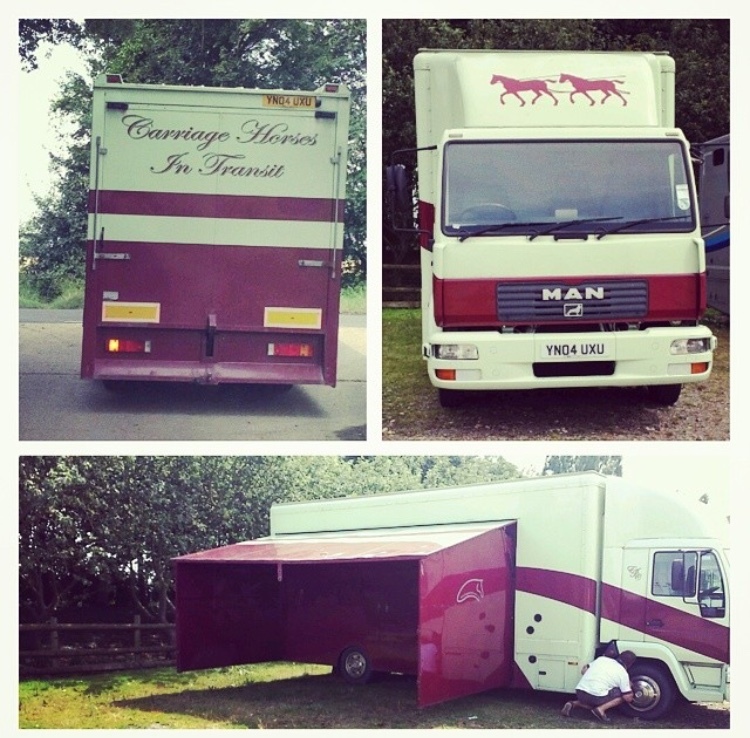 The lorry has side stabling for two horses, or one horse and a carriage. It’s seriously easy to assemble and just folds out, it can be complete in five minutes. The back compartment consists of two partitions,a winch for the carriages and a hydrolic ramp. We have only ever travelled one horse and a carriage but it has previously been used for two horses and a carriage. The living is made up with two beds, a fridge freezer, microwave, table, heating and a sink . There is also a WC. There is copious cupboards for ample storage. In the drivers cab is a screen connected to the safety cams that can change channels between the living and horse area to check up on the horse. I will be taking more pictures this weekend so can send some more..